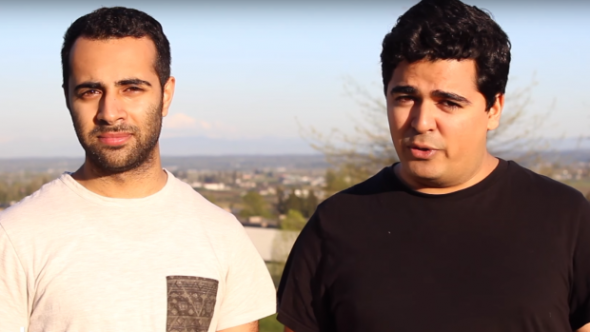 When Kashif Pasta and Shyam Valera first launched their Surrey-based web series Buddy Guys in 2011, a positive response from the community fast-tracked them towards the production of a “more grounded” series. This August, the duo will be releasing the pilot for their upcoming show, Welcome to Surrey, which follows the story of a Surrey-born law student returning home after years of living in Toronto. Upon her return, she reconnects with old friends, one of which is an old flame. Pasta and Valera describe the show as a rom-com, calling it “Friends meets Little Mosque on the Prairie meets Master of None.” Unlike Buddy Guys, Welcome to Surrey is a complete production with a larger cast and more developed plot lines and characters. “It’s that idea of when you move away from home and come back, you feel like you changed and it hasn’t,” says Pasta. That’s not to say Pasta and Valera aren’t proud of their home, they just want to “reflect people’s lives back to them.” In actuality, they’re both residents and fans of the city’s architecture, community-focused atmosphere, and resourcefulness. The duo received funding for the pilot after being voted in on Storyhive, “a community-powered funding program for emerging content creators in B.C. and Alberta,” as written on their website, where Pasta and Valera’s campaign was “one of the most local stories [with] the most global reach.” Their “incredibly diverse group of voters” is what allowed Welcome to Surrey’s pilotto go into production, and it will be released through Pasta and Valera’s production company, Dunya Media, on Aug. 8 online and through Optik Demand. Although the full first season has already been written, it won’t be approved for funding until after the second round of Storyhive voting, occurring between Aug. 8 and 12. Those interested in staying up-to-date on the series can visit its website, welcometosurrey.ca, for social media links and news.